Hundreds of puzzles, 900+ words and unlimited fun! 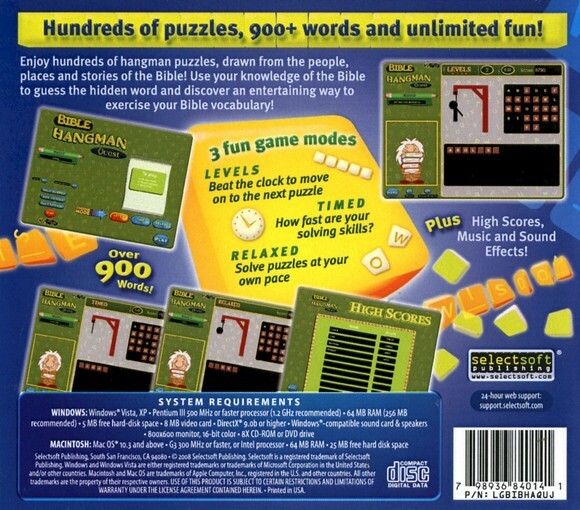 Enjoy hundreds of hangman puzzles, drawn from the people, places, and stories of the Bible! Use your knowledge of the Bible to guess the hidden word and discover an entertaining way to exercise your Bible vocabulary! System requirements: Windows 7, Vista, Mac0S 10.3 and above.